Care Instructions: Dry clean or Hand wash in cold water for better results. Material: faux georgette, saree length : 5.25cm and blouse : 0.75cm, saree width : 44 inch, the color may vary due to screen setting, wash care: machine wash, product is sold by Kashvi Sarees, one of the old manufacturing company of surat. 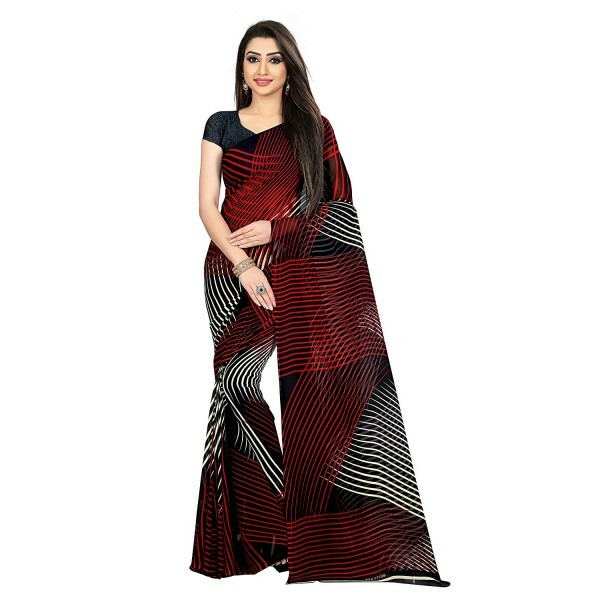 Kashvi Sarees offers the product at such a low price because they do the end to end process to manufacture a saree, their belief is to provide : value for the product, customer satisfaction is the utmost priority of this company.